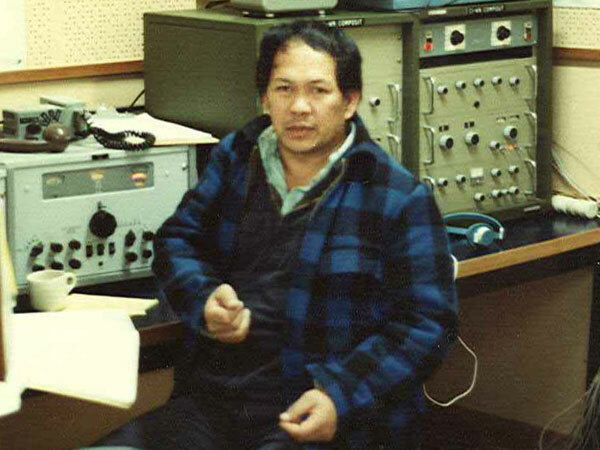 We used to monitor 2182 kHz listening for ships in distress. 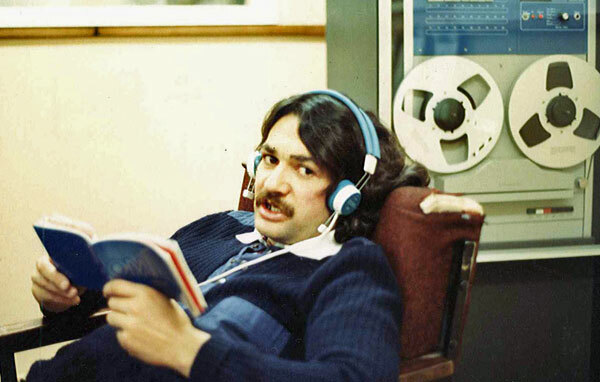 During the night when the phone link to New Zealand was shut down, this was our link back to New Zealand. One Codan receiver was probably for 2182 kHz and the other I guess for working shipping on 2162 kHz. We would transmit on 2182 then move and transmit on 2104 while listening to 2162. 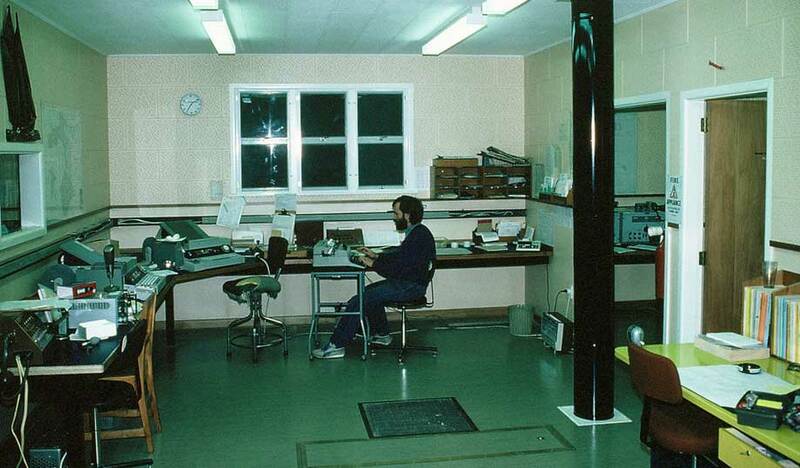 We used to use two Collins receivers before the new layout, one on 2182 and the other for working. 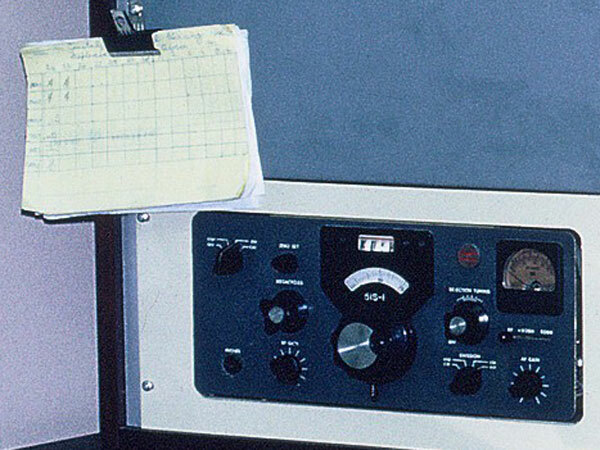 The Collins 51S-1 receiver is set to AM mode. 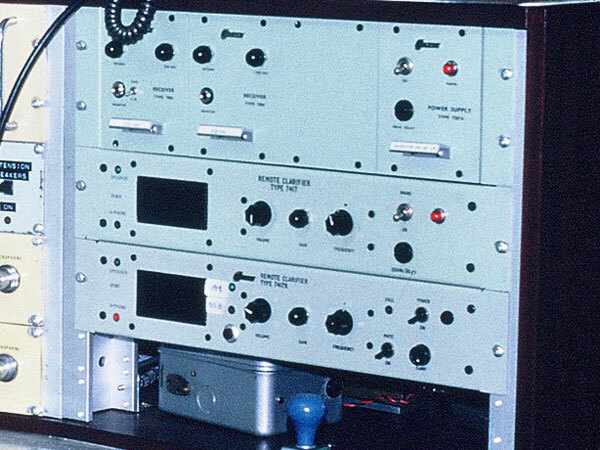 Various station switching and audio amps for two transmitters. 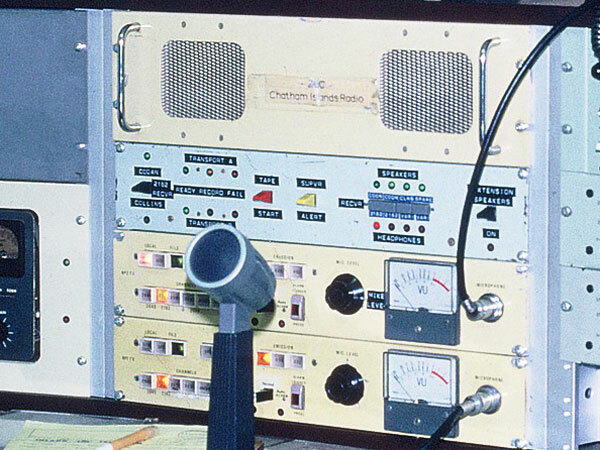 In the top rack: 2 Codan fixed frequency receivers and a power supply. In the 2 lower racks: Clarifiers for the fixed frequency receivers. 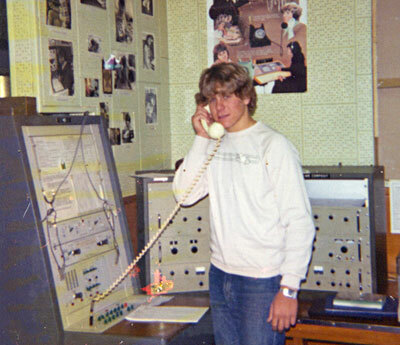 Telephone switchboard for Radio ZLC. 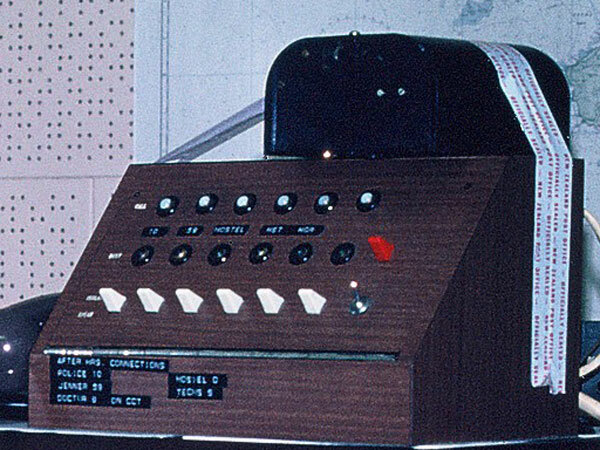 Is that teleprinter tape holding down the object on top? 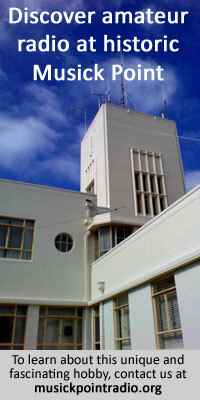 During the day when we had the phone link open it could manage two separate telephone lines back to New Zealand. During the night we switched it off, so there was no communications available to the outside world! 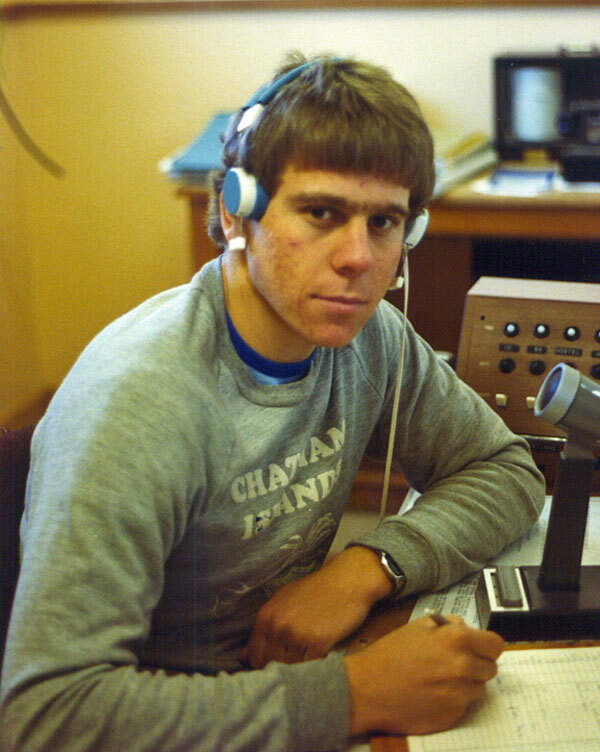 Other than of course from our Radio Station where we could call up our fellow Maritime Safety Radio Stations back on the mainland (New Zealand). 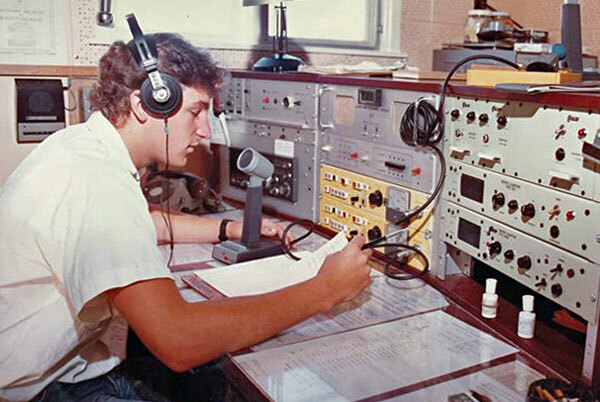 ZLC radio operator Tim Sollart at work in 1983. 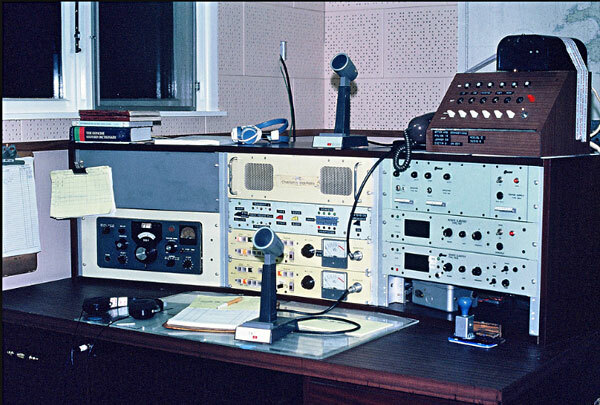 By this time, the Collins 51S-1 receiver had been replaced by a solid-state Yaesu FRG-7700, and the central switch panel had also been changed. 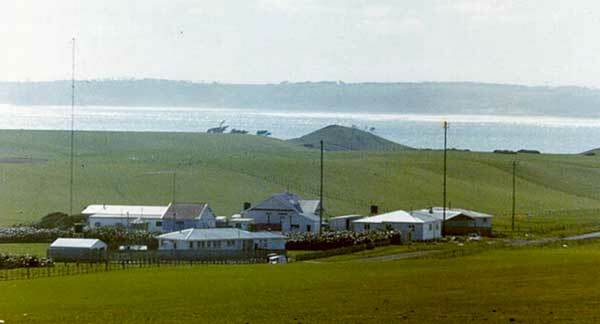 On 18 September a celebration was held to mark the 75th anniversary of the opening of Chatham Islands Radio. 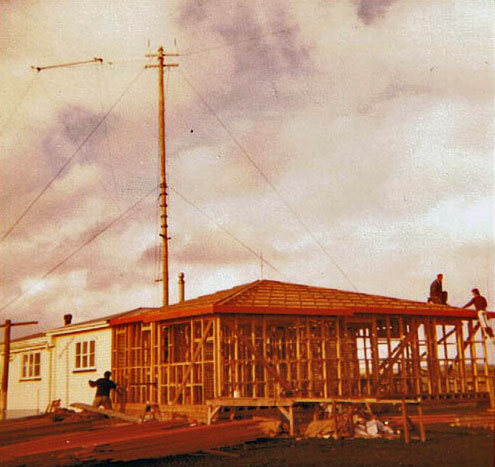 Construction at Chatham Islands Radio. Date and circumstances unknown. Two extensions were done in my time out there. 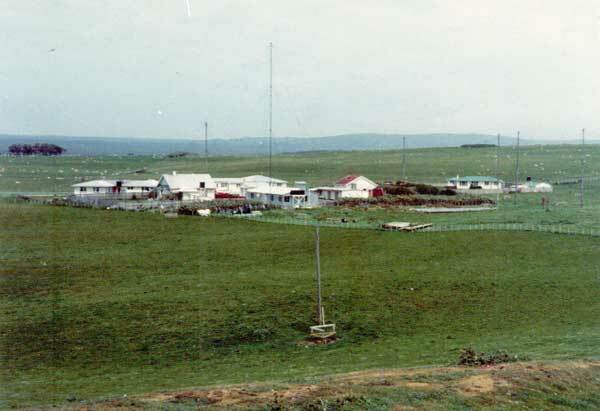 The extension to the station, with new operating room was in early 1982 (around February, I think), and the extension to the Hostel (the new recreation room) may also have been in ’82. 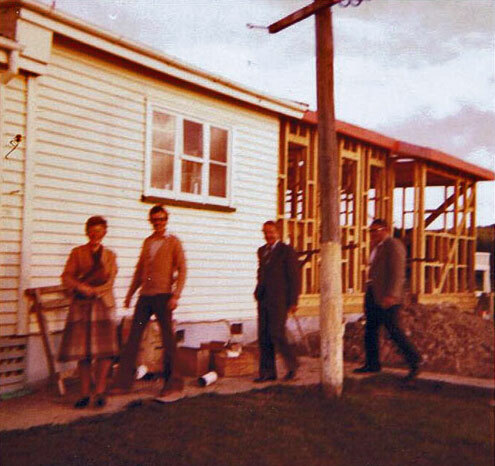 The hostel extension was built by local builder Tom Solomon (obviously not the Tommy Solomon, last full blooded Moriori who died in 1933, I think). 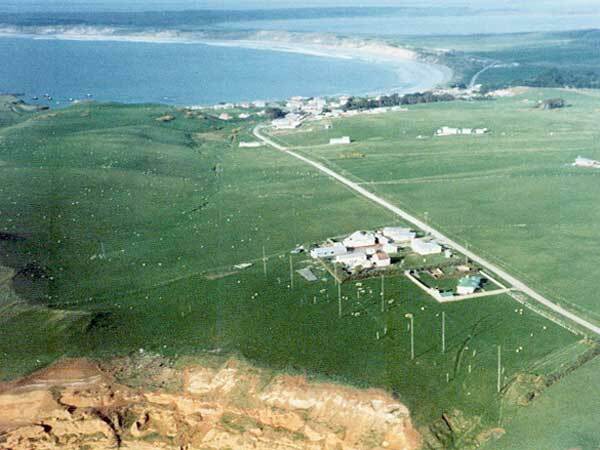 It is possible the hostel extension was in ’79 on my first stint down there, but I’m thinking ’82. Lester Price was manager in ’82 and should be able to confirm these dates. 1. Cottee, K. (1995). First Lady. Sydney, Australia. Pan Macmillan. p 56.